We had a lot of plans for this weekend. My daughter had a birthday party for one of her best friends & we were throwing a Super Bowl party at our own house. Unfortunately, a case of the sniffles changed things a bit. Mai had a nasty cough & a runny nose, so we stayed in our jammies all weekend. She may have been a little under the weather, but it did not slow her down any. She was still running around like crazy. I wanted to get her to sit down & relax, so we sat down & did a quiet & simple activity together. 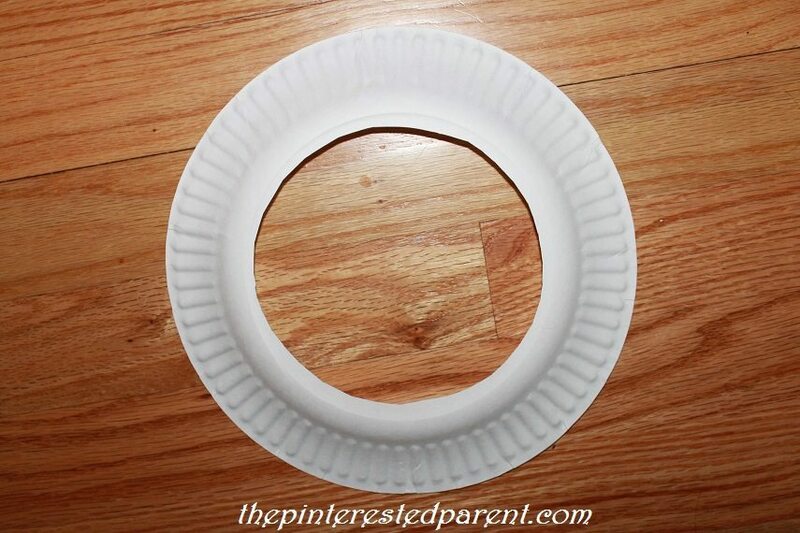 We cut the center of a paper plate out. 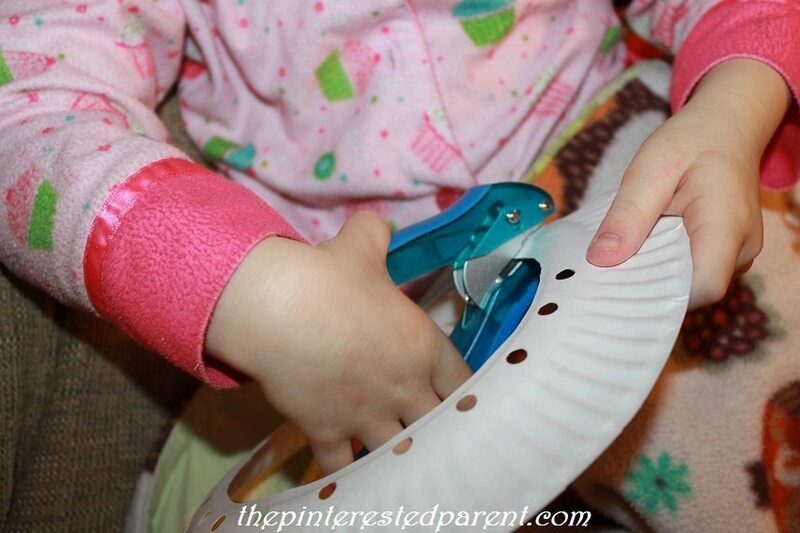 Mai loves using the paper hole punch, so she was excited when I gave it to her & let her punch around the inside & outside of the paper plate. 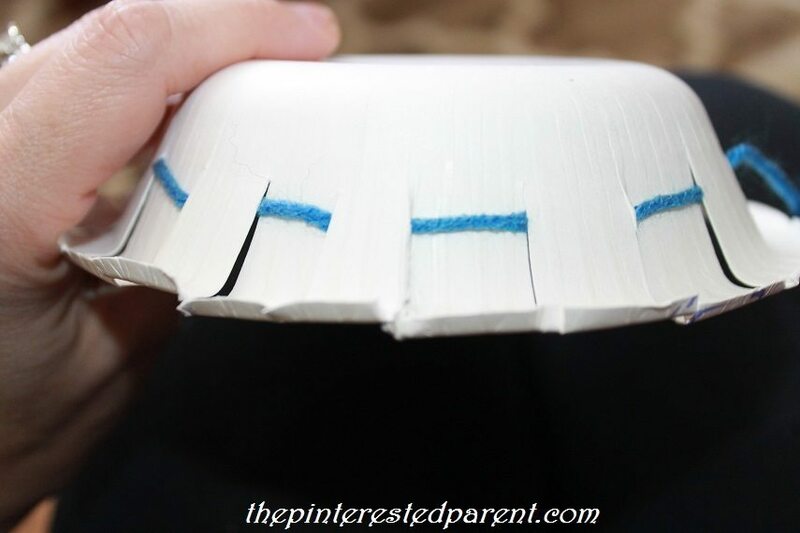 I started it & showed her where to punch so that it didn’t clip just the edges. 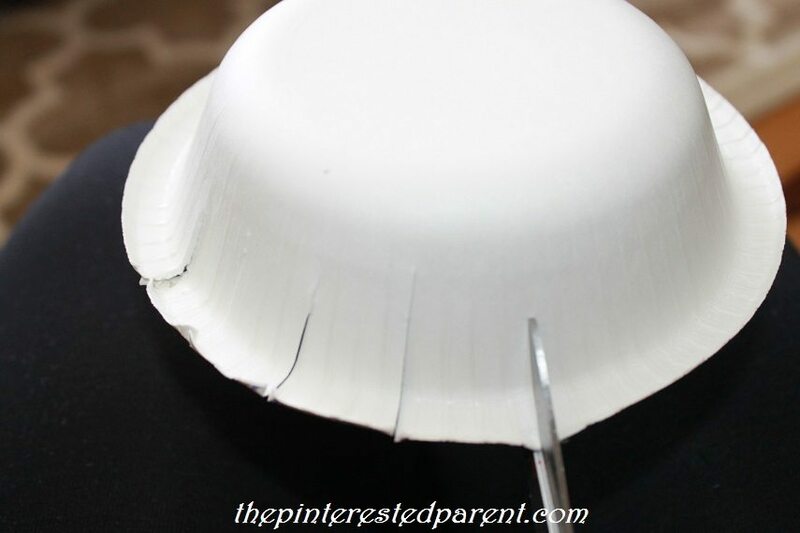 I punched the outer edge of a paper bowl because that was a bit too tricky for her & then poked the bowl through the center of the plate and glued it into place. 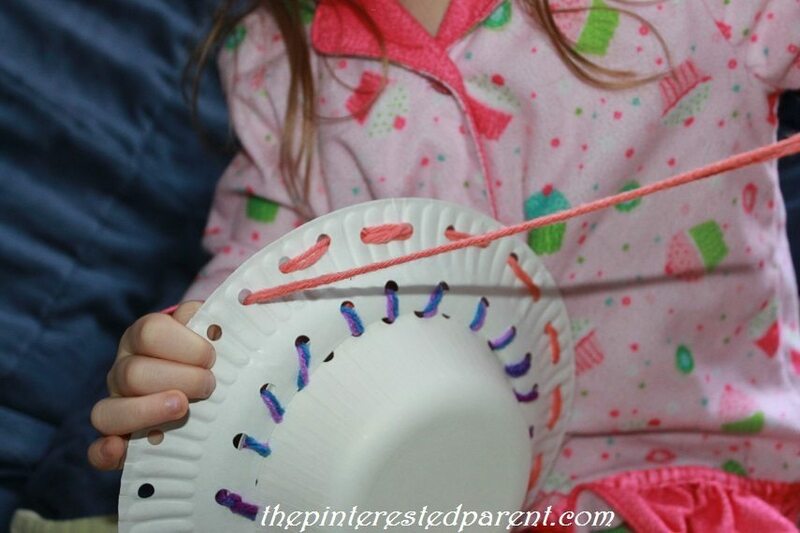 We used a yarn needle to sew the bowl & plate together with yarn & then to sew lacing around the edge of the plate. 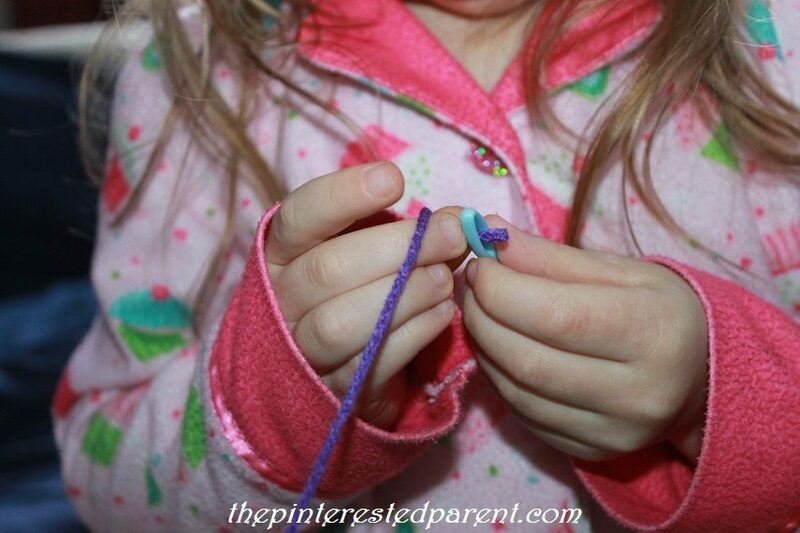 I showed my daughter how to use the needle under & over, under & over. 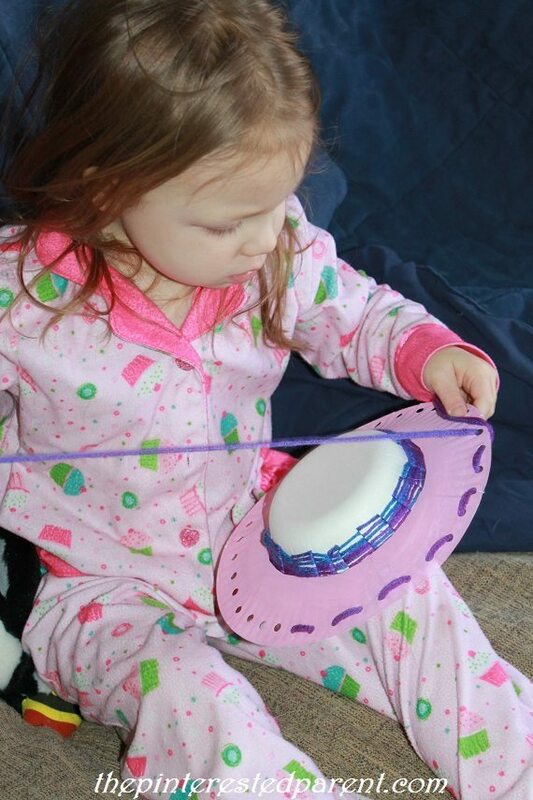 She skipped some holes at first & would ask me for help when it would tangle, but eventually she got into the groove & was able to do it perfectly without any help. We had so much fun with our project that we made several. She enjoyed the sewing so much that I wanted to see if she would enjoy weaving as well. 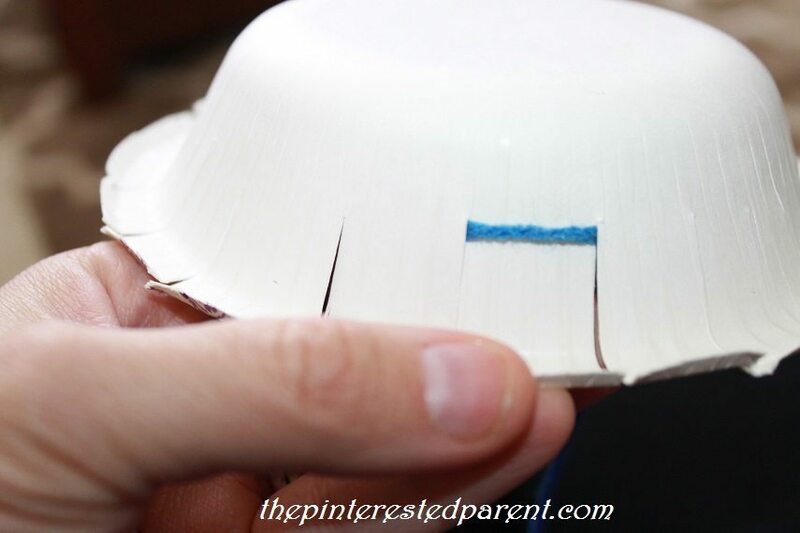 I took a paper bowl & cut around the edges like shown. The weaving was similar. It weaved over & under, over & under between sections. My daughter was not interested in weaving. I finished the weave myself. 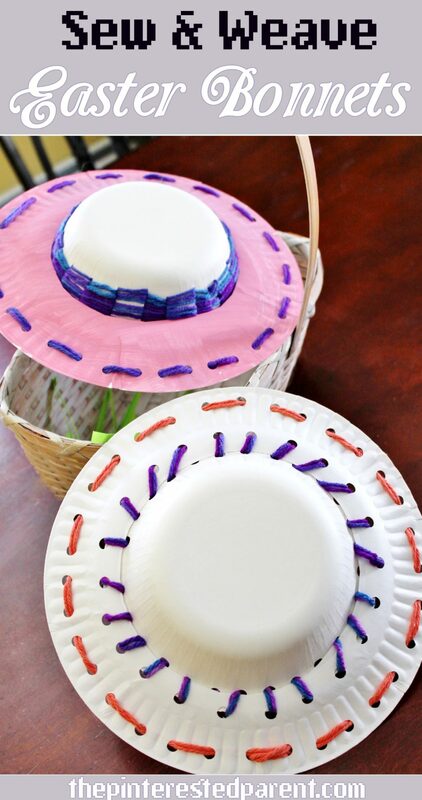 We glued the woven bowl into the center of another paper plate & then punched more holes around the plate for sewing. She liked this hat the best of all. We had fun sewing our hats, sniffles and all. Thank you as always for stopping by. Please follow us on Facebook as well. Love it and can’t believe we are heading to Easter now. Hope Mai is feeling better. 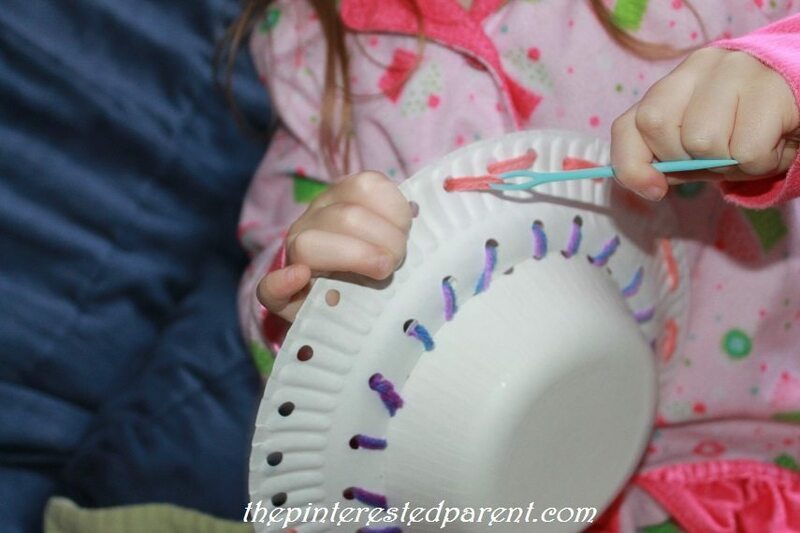 What a fun project and a cute idea! Thanks for letting me share in my Easter Roundup! You are welcome, Shannon. Thank you for including me. 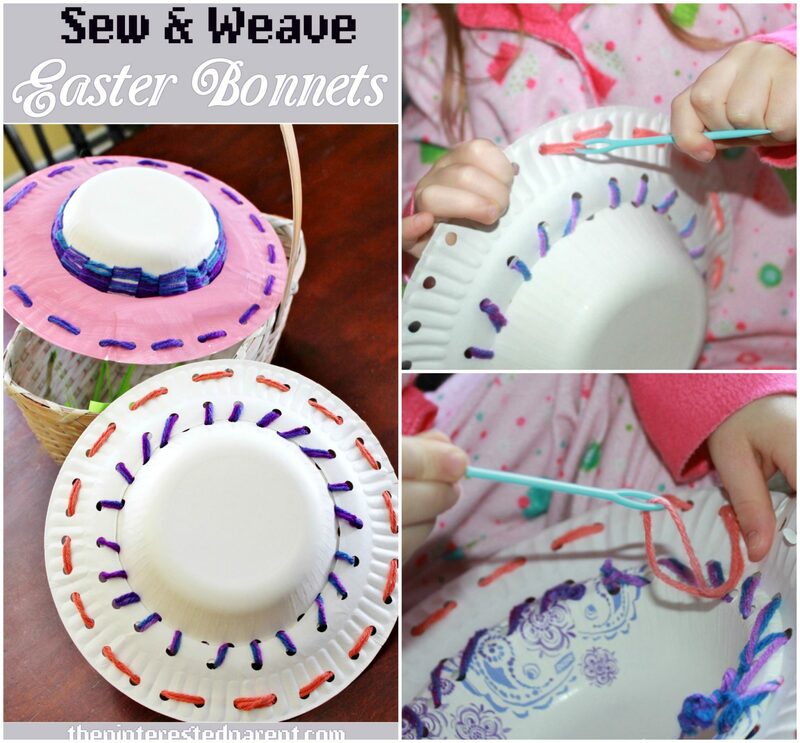 Pingback: Festive and Eggstra-Special Easter Roundup - Crafty Mama in ME!